" . . . elegant, beautiful, colorful, exotic, and unusual," says a client. Is he talking about the incredible Koi she tends, or, The Fish Lady herself? "I truly think both," her long time client replies, "but if you add 'funny' as well, it has to be Barbara, The Fish Lady." 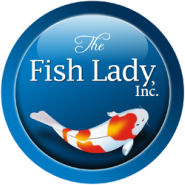 has an extensive history within the pond industry, but particularly working with Koi, thus has coined the name, “the fish lady”. Barbara was introduced to Koi when she was actively involved in the film industry. There was a murky un-kept pond with some neglected struggling Koi on a piece of property she was renting. As an animal lover she wanted to see the conditions of this potentially beautiful section of the yard transformed especially for these poor fish. This desire drove her to read and study about Koi. She discovered something very special during her attempts to recreate a healthy water Eco-system. The more time she spent in and around the pond and the Koi within it she began to relax, unwind and experience tranquility and peace that she had not experienced in years. As others within the film industry heard about the success she was having with her pond and Koi they asked if she would take a look at their pond. It just grew from there. To date she employs over 12 and services a number of high profile clients within the film industry as well as the general public. 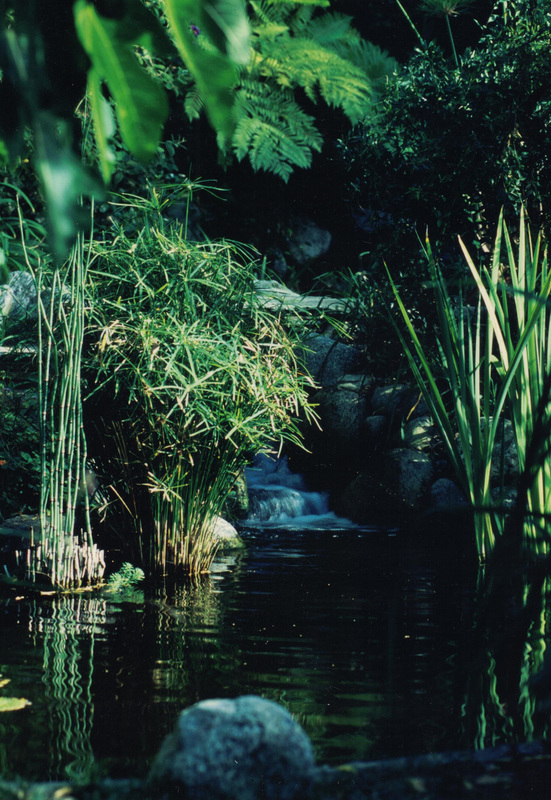 She truly creates and cares for the most extraordinary Koi ponds in Hollywood. Her client list includes such luminaries as Tom Cruise, Lew Wasserman, Aaron Spelling and Steven Spielberg. When asked what approach she takes with her projects Barbara states, "Our ponds are very holistic, and we take a natural, minimalist approach to their maintenance. We don't allow harsh chemicals, over medication or a dependency on strong antibiotics." “The pleasure these marvelous creatures provide is immeasurable." She concludes by adding, "The joy they bring should be for everyone, they change a plain pond into a dynamic and ever changing water garden full of movement and beauty." During my interview with Barbara she really helps bring some clarity and understanding to the real differences between a Koi pond and a typical water garden. It really comes down to the fact that a Koi pond is dedicated directly for the Koi. It all revolves around the fish. This will dictate the depth, plants, equipment used within the feature. Barbara has learned that the success of a pond will be directly related to the water within it. Understanding water is key to success. All natural systems work together. Water is a truly fascinating element that has a direct relationship with all life within the pond. The better one can understand water and the natural processes and cycles within the pond the better they are equipped to create a thriving healthy Eco-system within the pond. 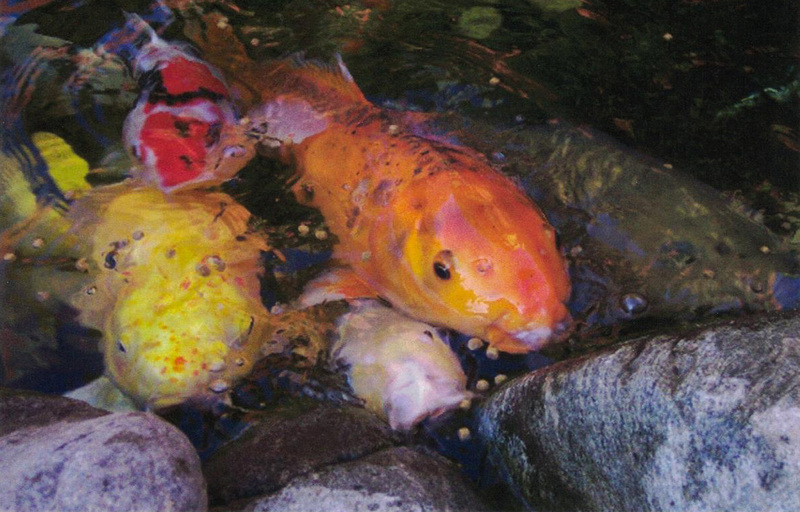 Barbara has a charming element within herself and that comes out within this frank, honest discussion regarding the key components and differences between a main stream pond or water garden and a Koi pond.